1. Add the leeks, broccoli and water to a pan. 2. Cook for 4 to 5 minutes, stirring from time to time. 3. Add all the other ingredients to the pan. 5. Place the cooked pasta on a plate and spoon over the cooked vegetable mixture. 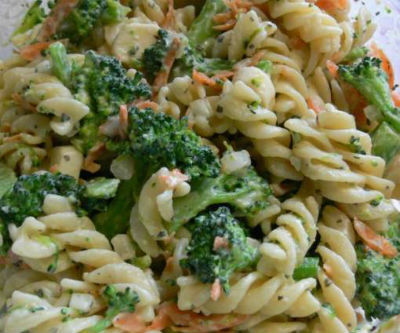 Feel free to comment or share your thoughts on this Creamy Broccoli Pasta Recipe from Awesome Cuisine.